Veejay Villafranca is a seasoned pro when it comes to photographing for international NGOs. He’s been working with them since 2005, mainly covering environmental issues in the Philippines, his home country and home base. NGO assignments are now his primary source of income, but it is his editorial work that has won him accolades such as a residency at Visa Pour l’Image and as a participant in World Press Photo’s Joop Swart Masterclass. Yet despite his experience and awards, Villafranca gets offered day rates of less than $200 from some international NGOs – an amount that many in the photo industry would consider quite low. Villafranca always rejects these low rates. Villafranca is not alone in his experience. Two-thirds of photographers who responded to our survey “How Much Are Photographers Paid by International NGOs” have been offered a shooting rate of under $200 per day by an international NGO (we did not ask whether people accepted these rates). We created the survey, which was filled out by 47 people living in 25 countries, to get an idea for not only what people are paid by NGOs, but why they think international NGOs offer certain rates and how much photographers generally charge for international NGO work. 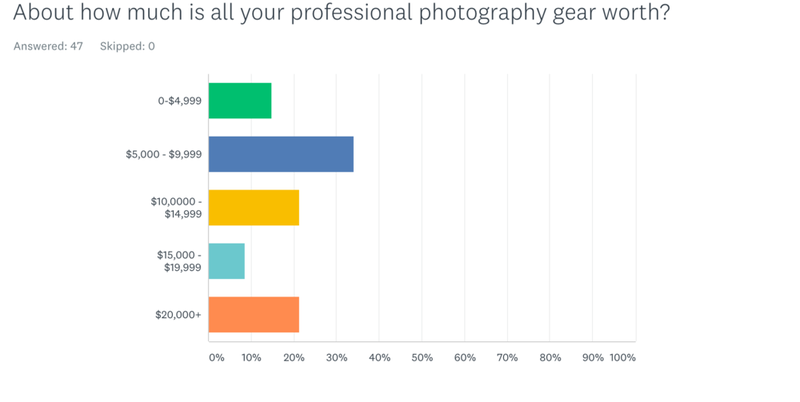 Lisa Murray, a photographer who covers Asia and Africa, charges at least $500 for a shoot day, an amount in line with about 19% of our survey respondents. If a client seems concerned about budget, then she often ends up reducing her rate for project management — time spent researching and preparing for a shoot or captioning, color-correcting and organizing photos after a shoot. 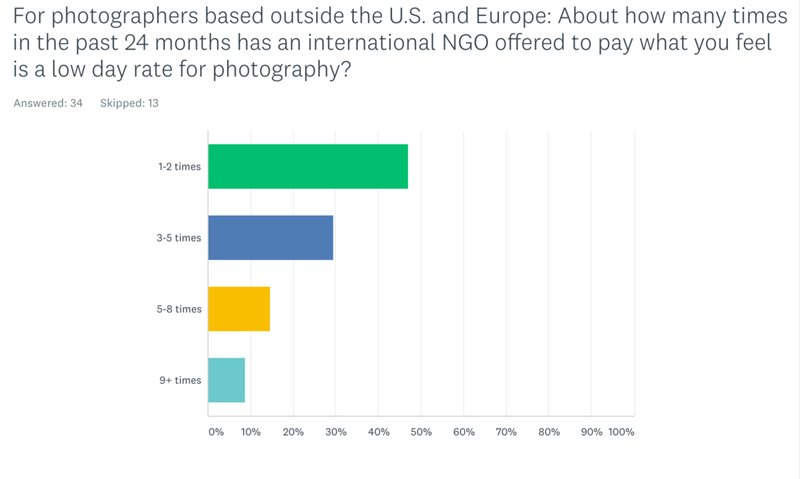 In fact, survey respondents who live outside of the U.S. and Europe said the number one reason they believe international NGOs offer them a low day rate is because the organizations have little understanding of the cost of running a photography business. It’s a feeling shared by Abhijit Alka Anil, a photographer from India who recently moved to Norway. In 2018, he was excited for his first paid international NGO assignment, a three-day shoot in India. But when he arrived the first day, he was asked to photograph an extra day without pay. Of course, not all experiences with international NGOs regarding money and payment are trying. Murray said there are some clients she enjoys shooting for because they value their photographers. Abhijit said one organization told him his portfolio was “very nice” and advised him to charge more for his work. They didn’t end up hiring him, but he still felt validated. Be sure to read our full survey results below. Editor’s note: Thank you to everyone who shared and took our survey. We know this was not a scientific survey (contact us if you know how to do that!) but we still think the answers here are important and worthy of discussion. We now have plenty of ideas for future blog content. But we want to hear from you. What would you like us to focus on that came across in this survey? Are you inspired to write for us on any of the issues presented here? What would you like to see us do differently in a future survey on the same issue? Any other thoughts or ideas? Please reach out at hello@ngostorytelling.com.